Definition at line 467 of file rpcndr.h. Definition at line 468 of file rpcndr.h. Referenced by NdrFullPointerFree(), NdrFullPointerInsertRefId(), NdrFullPointerQueryPointer(), and NdrFullPointerXlatFree(). Definition at line 469 of file rpcndr.h. 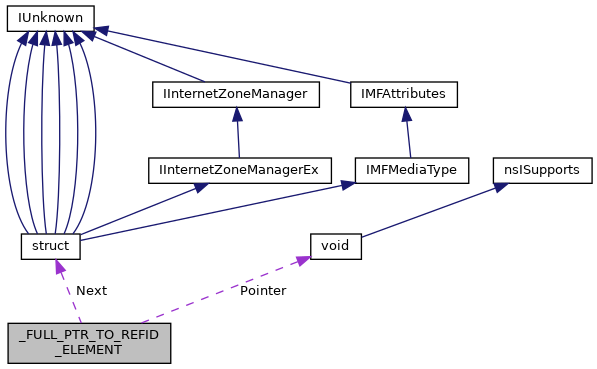 Referenced by NdrFullPointerFree(), NdrFullPointerInsertRefId(), and NdrFullPointerQueryPointer(). Definition at line 470 of file rpcndr.h. Definition at line 471 of file rpcndr.h.